Akihabara, Japan-August 17, 2018: A giant television screen overlooks the people crossing the street at night in Akihabara. hd00:43TORONTO, CANADA - JUNE 16, 2014: Yonge-Dundas Square in downtown Toronto late at night in time-lapse. 4k00:26TOKYO - CIRCA MAY, 2017: People evening on the streets in Shinjuku in Tokyo. 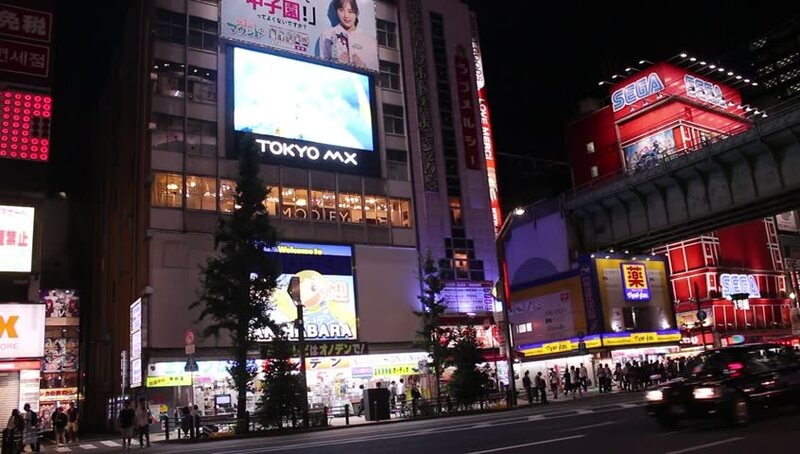 Entertainment district of Shinjuku is very popular with tourists and locals.